Updates to Laurie's profile since your last visit are highlighted in yellow. How did you meet your Spouse/Partner? 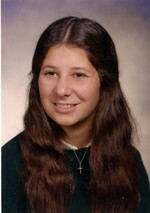 Laurie Gaboardi Gaboardi-Gardner has a birthday today.